Sady Morrow is back, fast and blue. Her best friend Amanda introduces her to the world of college football, and Sady attends her first University of Michigan football game. 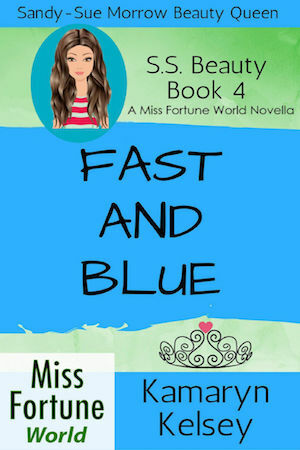 But while trying to “Go Blue” she and Amanda have to run fast to escape two bad guys they’ve crossed in the past. Her latest car on the other hand… It’s blue but not fast and Sady’s not happy. New neighbors, a high class social event, and a Renaissance Festival bring more of Sady’s beauty contest talents to the fore. Along with CJ, Harry, and Matt she’s ready to take on anything that comes her way.